There are many people out there that can feel the adrenaline slowly upping its quantities in their bodies, and the stress starting as we near the jolly time of Christmas. 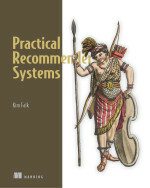 We are not all bound to spend fortunes on presents to celebrate the birth of Christ but, if you are and unsure what you should give your loved ones, then you have an excellent opportunity to try out implementing a recommender system. If you have a friend whom you know likes books, or just looking for a book yourself, a way to approach it is by downloading one of the public datasets around with book ratings. For example, there is one collected with the book-crossings website. Using that and implementing a content-based recommender you could find similar books to the ones that your friend likes. The cool thing about content-based recommenders is that they don’t need ratings from users, so if you have descriptions of other books you can compare them with the descriptions of the books your friend liked. You could also go more general and take Amazon’s product dataset, or use one with movies in which case I also describe other types of recommenders you can use, collaborative filtering, or learning to rank. I had much fun with the last one. If you do implement a recommender, please write a comment and happy seasonal festivity, if you celebrate this one. Can copy-paste behaviour predict film taste? People use a computer in different ways – when I need to copy-paste something I always use <ctlr>-c and <ctlr>-v, while my wife insists (how irritating!) on always using the mouse right-click menu. I do not know if such habits can be translated to implicit ratings, unless they could be based on whether to be a geek or not. Just for fun, we could pursue the thought a bit. Let’s pretend that we are looking at films. If we have the Matrix – the geek movie of all time- who would you recommend it to if you only knew how the user performs copy-paste? I would answer the ones using the <ctlr> way. My wife is helping me a lot with this (book), so I should be careful about guessing what kind of films a person who does copy-paste with the right-click menu likes, but I would put her way in between the geek way and the ones doing copy-pasting using the menu in the top of the window. You can maybe think of it like shown in the figure. To put this into practice I would need to record a series of copy-paste events from the user, at which point the system could then recommend the movie, which fits to this user’s behaviour. I hope that this has never been implemented in practice, but if you think about it, then if you have the choice of recommending between “The Matrix” and “You’ve got mail”, the copy-paste behaviour could maybe contribute to give the system a better understanding of what to recommend. The conclusion is that even if evidence might not be an obvious telltale about users taste, but it might contribute in making the implicit ratings more precise.